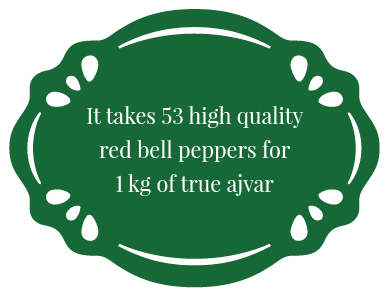 What could a tropical fruit and home-made ajvar possibly have in common? 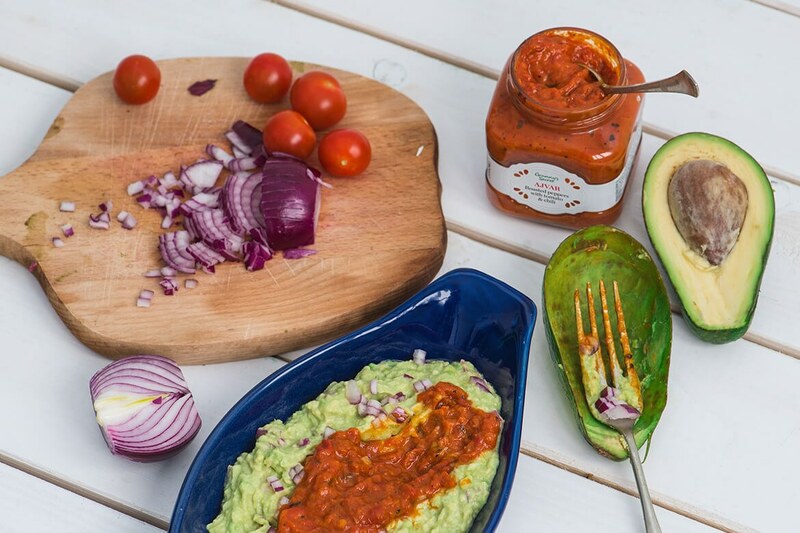 Although they originate from distant continents and it seems at first sight that they aren’t related in any way, avocados and ajvar brought together in a single bite make an absolutely irresistible combination. 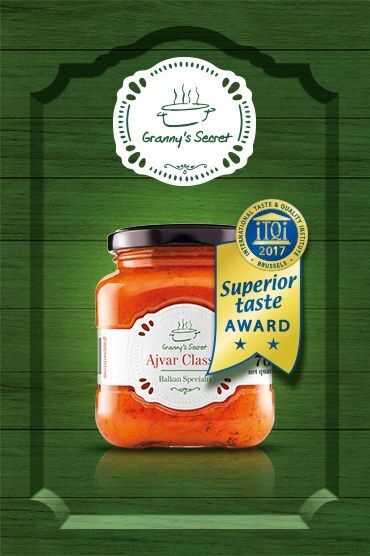 Mildly creamy flavour of a fresh avocado helps perfectly accentuate rich, lightly smoked, and sweet taste of authentic home-made ajvar. 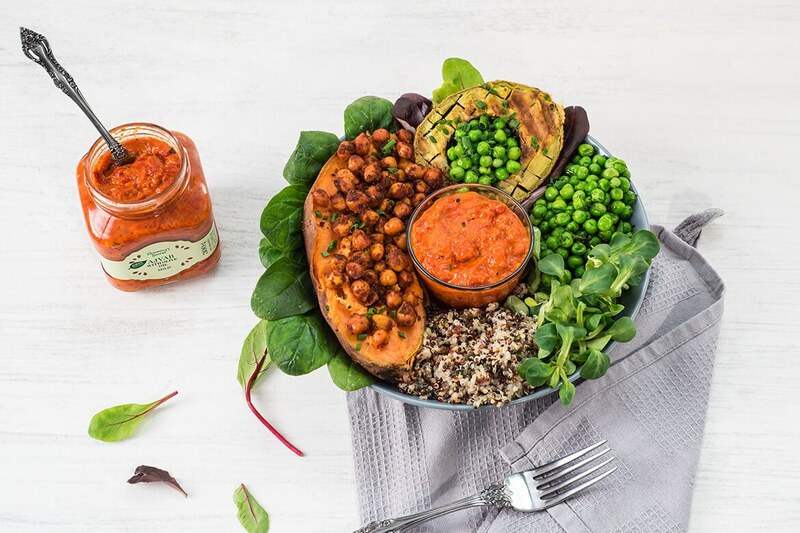 In fact, we were so fascinated by this combination of flavours that we continued to experiment through our recipes with numerous gastronomic options that avocado and ajvar can jointly offer. All this in order to enjoy fine, home cuisine, of course. 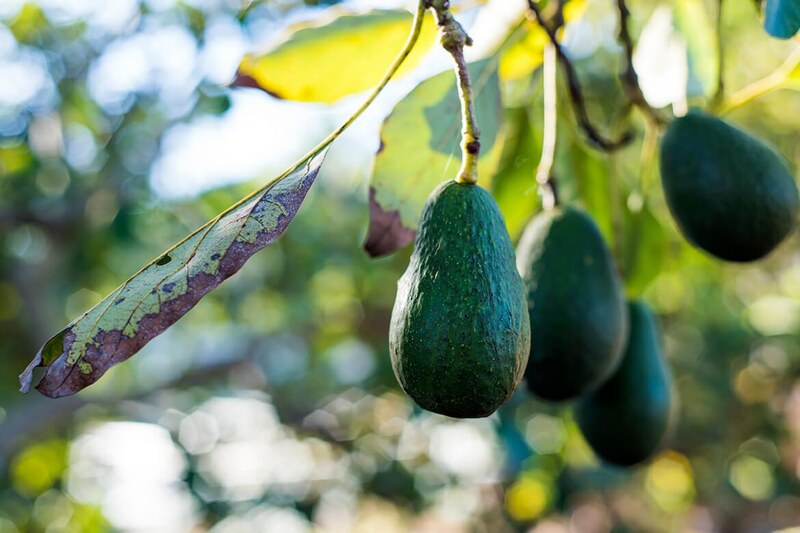 Avocados, which originally come from Central America, took the world by storm owing to both their full, creamy, and mild flavour, which adjusts equally well to various savoury and sweet dishes, and to their nutritional values. Avocados are an extremely nutritionally rich food. They’re a great source of good fats, vitamin E, soluble fibres, and they also contain numerous valuable minerals, such as iron, copper, and potassium, as well as vitamin B, and folic acid. 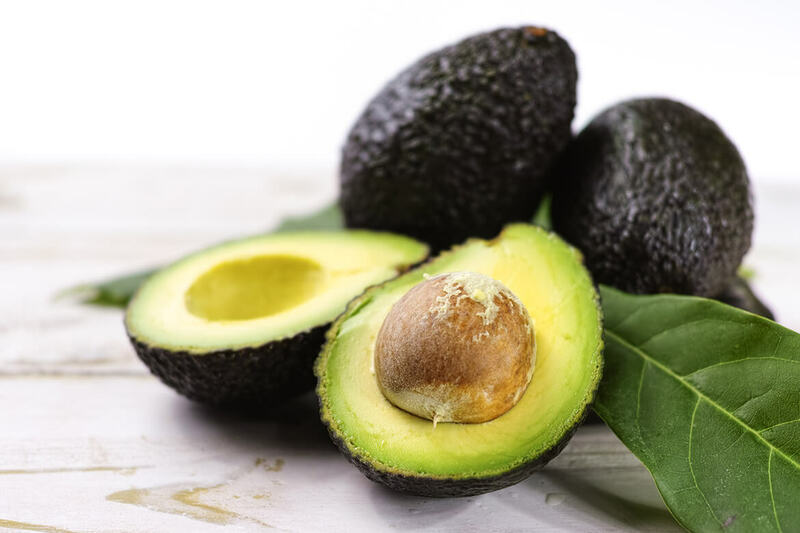 Although good, the fats are present in high concentration, which is why avocados are pretty high in calories, around 160 cal per 100 g of fruit, so all those who are watching their figure are advised to be careful with the intake. It is said that there are more than five hundred types of avocado in the world, which actually belongs to the fruit family or, more precisely, berries. So, this gigantic green berry contains only one, also gigantic, pit, which can be used to grow an avocado plant with little effort and even in indoor conditions. Nevertheless, we stick to buying previously cultivated fruits, of which you can usually find two types in our region: Fuerte avocado, which is shaped like a pear and whose skin is smooth and bright green, and Hass avocado with thicker, bumpy skin, whose fruit is somewhat softer and creamier, and therefore perfect for making avocado sauces and spreads. How to choose the best avocado? 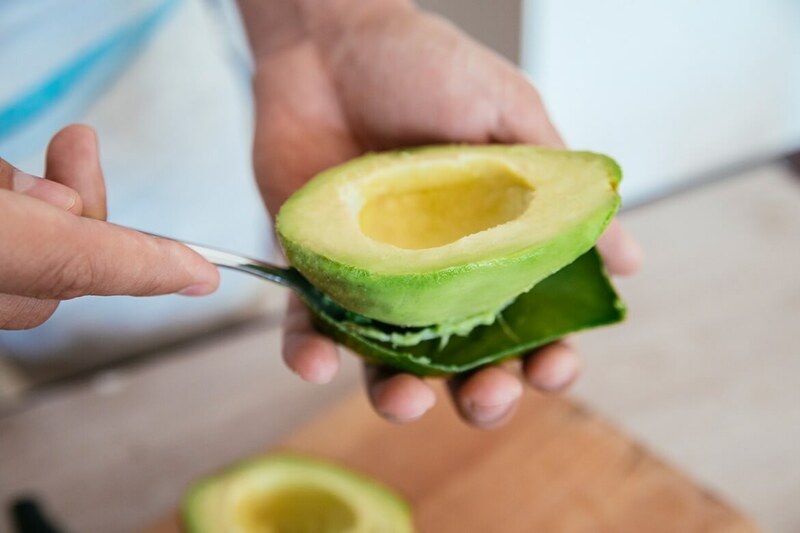 An avocado should always be fully ripe, not more or less than it’s supposed to be, and we are sure that we’re not the only ones who were so many times yearningly waiting for that avocado moment when you can finally cut the fruit. This is because an avocado doesn’t get fully ripe on the tree, but only after it’s picked, which is why in a shop you can rarely find an avocado that can be eaten right away. As an avocado gets riper, the colour of its skin gets darker, but this can vary according to the type, so the best way to choose one is by touching it. Place an avocado on your palm, and using your palm, rather than your fingers, press it gently. A ripe avocado which can be used right away should be slightly soft, and never too much soft. An avocado which is at this stage of ripeness should be eaten in no more than a day or two. How to store an avocado? If you don’t intend to eat it straight away, we suggest that you buy an unripe avocado that should be stored at ambient temperature. In this way, your avocado will ripen in four to five days. 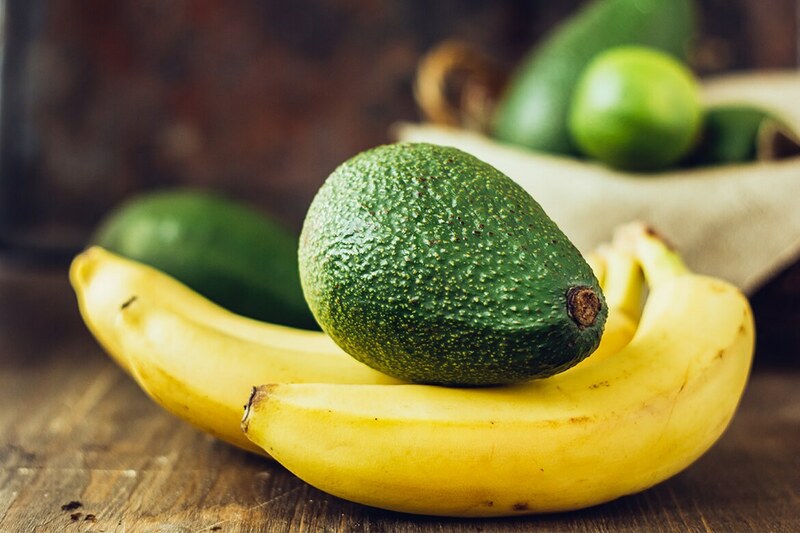 If you want to step up the ripening process, put the avocado in a paper bag together with a banana or an apple, close the bag, and wait for a day or two. However, if you want to slow the process, keep the avocado in the fridge. A perfectly ripe fruit has a uniform bright green soft flesh, which can be separated from the skin by simply using a spoon. And we’re slowly getting closer to find out all the similarities between our fine, home-made ajvar and avocados. Although avocados are nowadays used in numerous different ways, it still remains an indispensable master of guacamole sauce. Guacamole originates from Mexico since the Aztec age, and it was originally made as a simple combination of mashed avocado and salt. Preserved by families and passed on from generation to generation, over time, the recipe was added more ingredients and new flavours of guacamole sauce were made exactly by grandmas from remote Mexico, as we like to think. So, a traditional recipe for guacamole sauce also includes onion or garlic, tomato, lime or lemon, coriander or basil, chilli peppers or small jalapeño peppers, and spices. Good guacamole requires, of course, ingredients that are fresh and of good quality, and if you make it in large quantities, keep it in a hermetically sealed container so that it doesn’t change in colour, because, when exposed to air, avocados oxidise quickly. All in all, it is clear where this perfect match of avocado and ajvar comes from. The key is all those exquisite flavours of pepper which naturally goes well with a creamy avocado. Also, both avocado and ajvar form part of a long tradition, which was passed on through generations with a lot of love. Easy preparation, whose secret lies in top, fresh ingredients, and a careful process, is what these two have in common, as is the fact that, owing to their long tradition, both avocado and ajvar found their place in modern cuisines all over the world and that they enrich them with their flavours. We tried avocado with our ajvar, pinđur, and ljutenica, and each of these combinations was spot on. 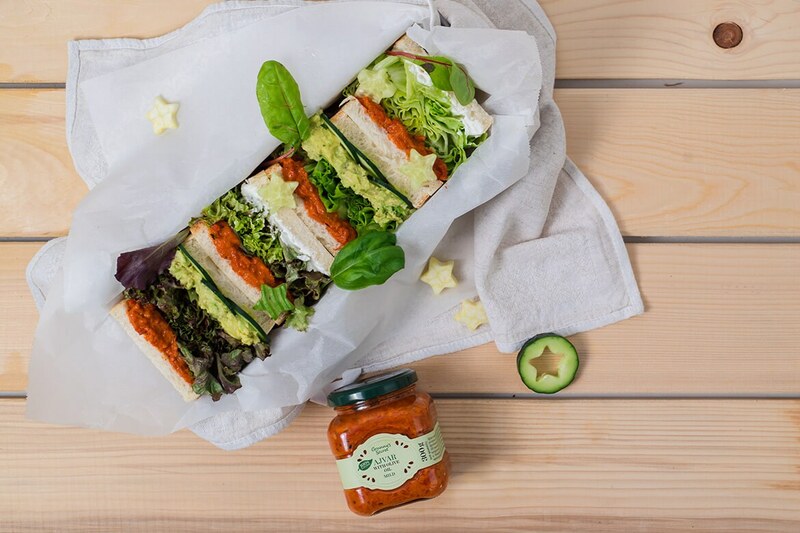 We made guacamole sauce with ljutenica, our famous rainbow vegetable dishes with grilled avocados, sandwiches with ajvar and avocado and basil spread or we simply placed slices of avocado on a slice of bread spread with ajvar, added a pinch of salt and lime juice. 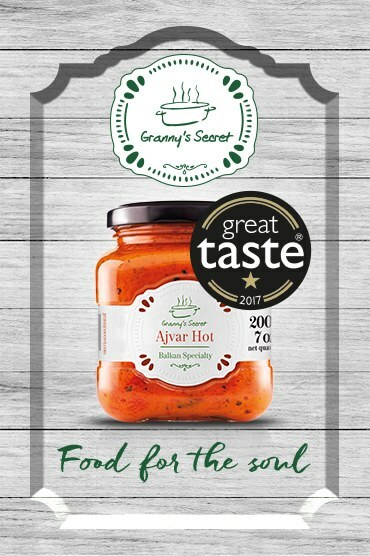 We encourage you to also explore these amazing flavours and make your very own combination of avocado and ajvar. And don’t be shy to share your ideas with us!